It’s very easy to make and flexible to the fruits in season and that you enjoy. Perfect to have on hand for unexpected guest or for a party. Pour wine into a large pitcher and squeeze the juice wedges from the lemon, orange and lime into the wine. Toss in the fruit wedges and pineapple then add sugar, orange juice and gin. Chill overnight. Add ginger ale, berries and ice just before serving. If you’d like to serve right away, use chilled red wine and serve over lots of ice. 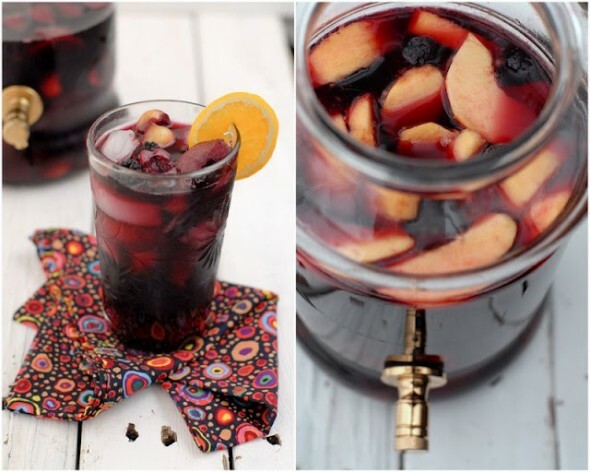 However, remember that the best Sangrias are chilled around 24 hours in the frig. – allowing the flavors to really marinate into each other.